Cette entrée, publiée dans Photographie/photography par JMR-ART, est marquée Arctic, Arctique, chien, Dog, Mould Bay. Mettre ce permalien en signet. Oui ce sont de magnifiques chiens. You are lucky to have met this beautiful dog! 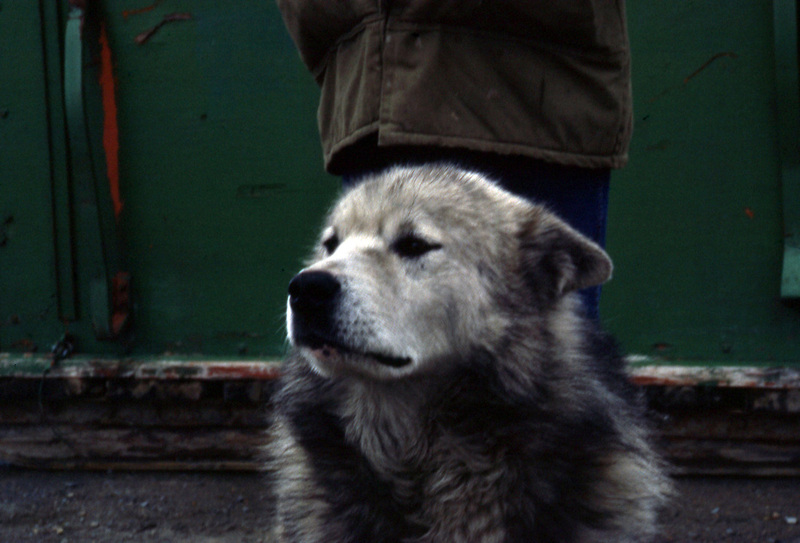 Yes he was very close to us, and very affectious, maybe to escape from the others, somebody on the station told me that when the two were ‘ruling’ the pack, they were hard on the others dogs, but anyhow he was a very nice and friendly dog to us.